Userbag.co.uk » Making HTML5 games by someone who knows nothing about making games. 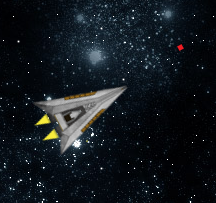 This entry was posted on Wednesday, December 7th, 2011 at 9:42 pm and is filed under Development, HTML5 Games, Tutorials. You can follow any responses to this entry through the RSS 2.0 feed. You can leave a response, or trackback from your own site. Good article. A friend sent me this; I just read it offline and found it very useful. I’m looking at html5 games and comparing to stuff like Corona SDK.